Thermogenic foods may help increase metabolism and calorie burning by enhancing thermogenesis, a process in which the body burns calories to utilize the foods you have just eaten, converting those calories to heat. Your body mainly burns calories consumed through maintaining its regular metabolic functions and through physical activity; however, a small percentage, about 10 percent, of calories are burned through diet-induced thermogenesis. Consuming foods with spices such as red hot peppers or black pepper increases thermogenesis and can potentially have a significant effect on feelings of satiety and fat oxidation, according to Dr. Margriet Westerterp-Plantenga and colleagues at the Department of Human Biology at Maastricht University in The Netherlands in a review published August 2006 in the journal "Physiology & Behavior." 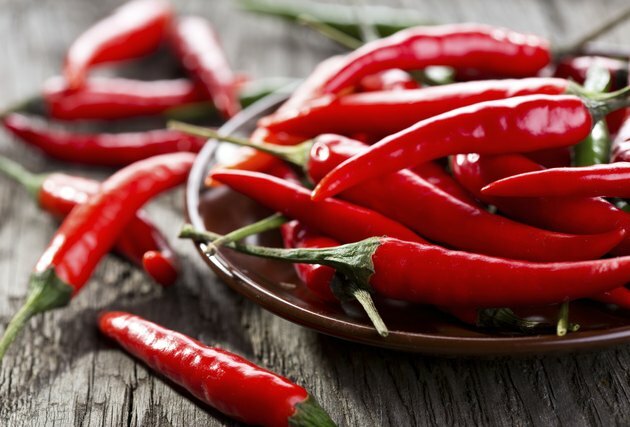 Capsaicin, the substance that gives hot peppers their pungent flavor, has been reported to increase thermogenesis, and in studies in Japanese men and women who consumed a meal containing capsaicin, the participants experienced an increase in energy expenditure immediately following their spicy meal, according to Dr. Westerterp-Plantenga. 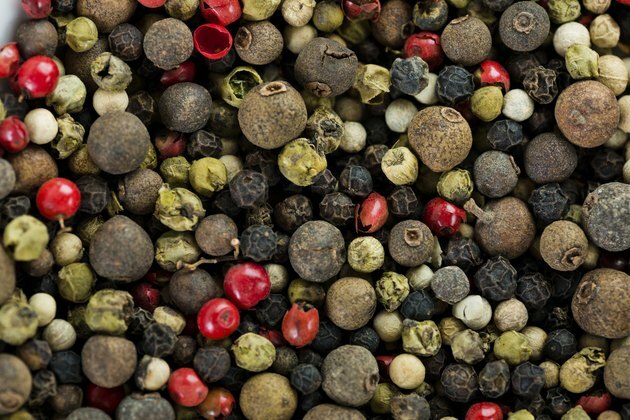 Similarly, black pepper contains piperine, a substance that has been shown to influence thermogenesis through stimulating the nervous system, according to Dr. Westerterp-Plantenga and colleagues. Green tea contains two substances -- caffeine, and polyphenols called catechins -- that have been shown to boost thermogensis and may enhance each other's effects, according to the August 2006 review by Dr. Westerterp-Plantenga and colleagues published in the journal "Physiology & Behavior." 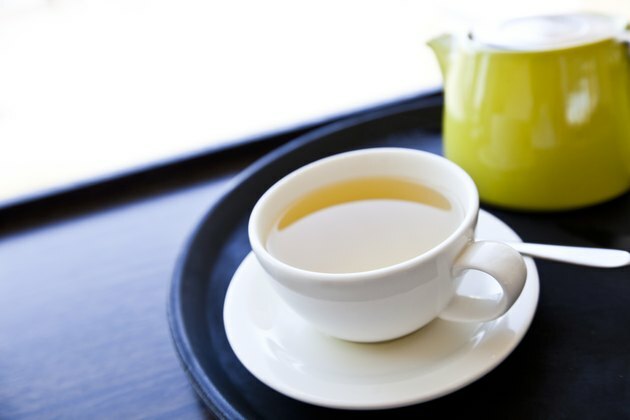 Catechins in green tea may increase thermogenesis through inhibiting a particular enzyme, and green tea contains high amounts of a certain catechin called epigallocatechin gallate, which is "probably the most pharmacologically active," according to Dr. Westerterp-Plantenga and colleagues. 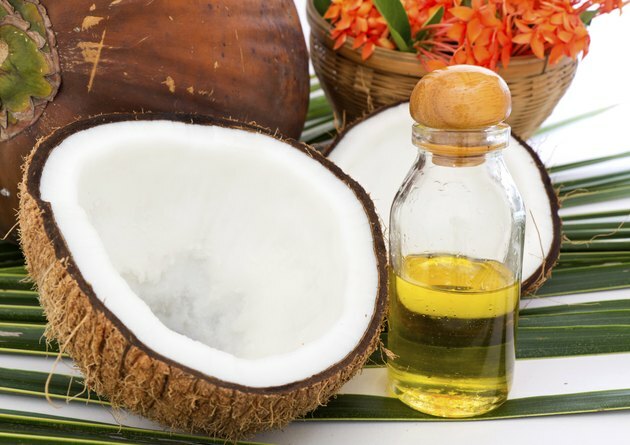 Coconut oil contains mainly medium-chain fatty acids -- fats that, when consumed, have been shown to inhibit fat deposition through increased thermogenesis and fat burning, in studies conducted in animals and in humans, according to a review by Dr. Koji Nagao and colleagues at the Laboratory of Nutrition Biochemistry, Department of Applied Biochemistry and Food Science, at Saga University in Saga, Japan, that was published in March 2010 in the journal "Pharmacological Research." 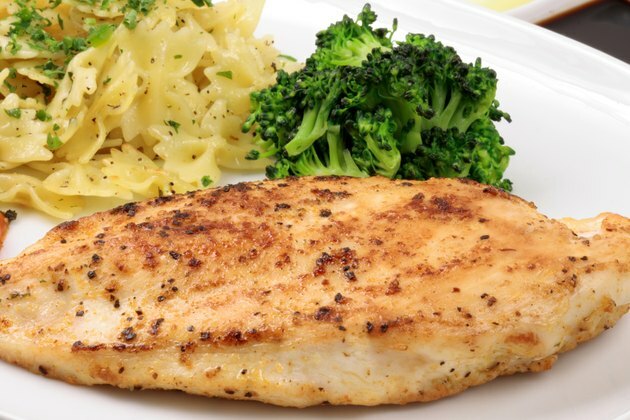 Diet-induced thermogenesis can also be affected by the proportion of macronutrients consumed -- carbs, fats, and proteins -- with high-protein diets being the most thermogenic compared to high-carb or high-fat diets, according to researcher Helen H. Hermsdorff at Universidad de Navarra, in Pamplona, Spain, and colleagues in a study published in the journal "Archivos Latinoamericanos de Nutricion" in March 2007. Sources of protein include lean cuts of red meat, poultry, eggs and nuts.